Alvin Ailey American Dance Theater returns to the Adrienne Arsht Center with five performances from Feb. 14-17, which includes a family matinee. The Company is celebrating its 60th anniversary during a national tour entitled Ailey Ascending, which visits 21 coast-to-coast cities. 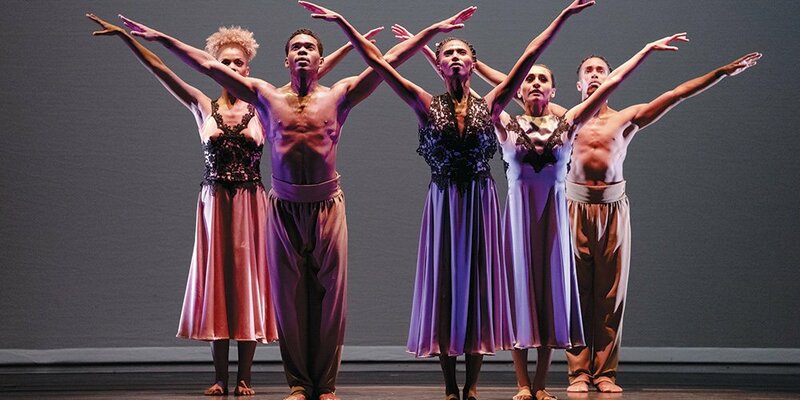 Led by Liberty City native and Artistic Director Robert Battle, Ailey is one of the world’s favorite dance companies. Miami native Jamar Roberts, along with 32 extraordinary dancers, will reveal the power, passion and astonishing beauty that have become a hallmark of the Company. When Alvin Ailey and a small group of African American modern dancers first took the stage at the 92nd Street Y in 1958, the engagement was for one night only - but it turned out to be the start of a new era in the performing arts. Mr. Ailey became one of the groundbreaking greats in African American history, while the work of his Company grew beyond the limits of the stage to encompass education at all levels, community outreach and cultural diplomacy. Alvin Ailey American Dance Theater now embodies six decades of achievement, celebrating the human spirit with performances that unite and inspire all. The World Premiere of Lazarus, the Company’s first two-act ballet, features the choreography of acclaimed hip-hop choreographer Rennie (Lorenzo) Harris. Inspired by the life and legacy of Mr. Ailey, Harris connects past and present in a powerful work that addresses the racial inequities America faced when Mr. Ailey founded this company in 1958 and still faces today. Harris’ previous contributions to the Ailey repertory include Exodus (2015), Home (2011), and Love Stories (2004), Judith Jamison's dynamic collaboration with Rennie Harris and Robert Battle. The Call, another World Premiere, is choreographed by 2018 Dance Magazine Award recipient Ronald K. Brown. His seventh work for the Company is “a love letter to Mr. Ailey,” and set to the music of Johann Sebastian Bach (performed by Chris Thile, Edgar Meyere & Yo-Yo Ma), Mary Lou Williams, and Asase Yaa. Brown’s joyous mix of modern and West African dance idioms – seen previously in Grace (1999), Open Door (2015), Four Corners (2013), and other works – fits the Ailey dancers perfectly, and his themes of spiritual awakening and redemption never fail to inspire. The Company Premiere of Kairos is choreographer Wayne McGregor’s second Ailey Company premiere. It fills the stage with sinuous, angular movement and synchronicity. Drawn from the ancient Greek language, the word “Kairos” has dual meanings, the first being the most opportune time to take action and the second being weather. The ballet is framed by Idris Khan’s dramatic set design and played out to Vivaldi’s The Four Seasons, re-imagined by experimental composer Max Richter. Ailey is the first American company to perform Kairos, which originally premiered in 2014 as part of the STEPS contemporary dance festival in Switzerland. Another exciting presentation set to hit the Arsht Center stage is the New Production of Robert Battle’s Juba. This was his first work for Ailey, and it explores where ritual and folk traditions exist in today's society, as four dancers engage in a modern day "Rite of Spring" with an abstract twist. An original score by John Mackey for string quartet and percussion drives the mood of this edgy, ritualistic work, called "electrifying” by The New York Times. Finally, Revelations is the uplifting must-see finale during each of the performances. Since its creation in 1960, this masterpiece has inspired generations through its powerful storytelling and soul-stirring spirituals. Springing from Mr. Ailey’s childhood memories of growing up in the south and attending services at Mount Olive Baptist Church in Texas, Revelations pays homage to the rich cultural heritage of the African-American and explores the emotional spectrum of the human condition. The Ailey Company has been recognized by U.S. Congressional resolution as a vital American “Cultural Ambassador to the World,” and performed for an estimated 25 million people in 71 countries across on six continents.